Biology-deniers in the New Hampshire House have moved for “reconsideration” of HB 587. If the House votes “yes” on reconsideration, a vote to pass this bill could follow immediately. 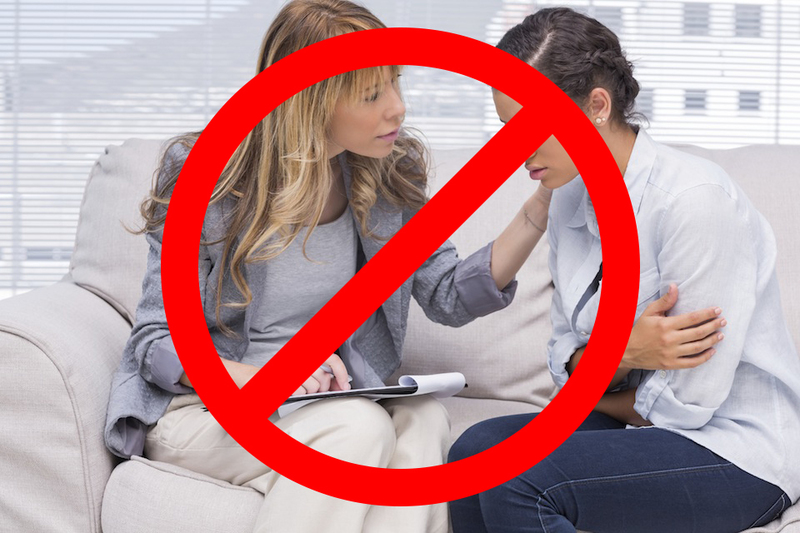 This dangerous bill would prohibit any discussion between your child and a licensed therapist that affirms your child’s biological reality and helps your child align with his or her own faith and moral beliefs. This bill would strip counselors of their license if they try to help children in this way or even refer them to treatment out of state. 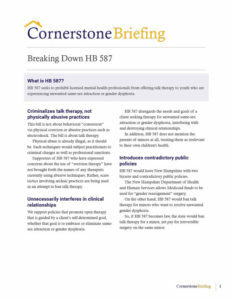 And probably most disturbingly, if this bill passes, the only “treatment” available to children suffering gender dysphoria will be “gender reassignment,” in which doctors prescribe powerful hormones and perform surgery to remove healthy body parts – on children.